Super Mario Run is now available to download on the iPhone, iPad, and even the iPod touch so as long as you have iOS 8.0. Android gamers will have to wait it out until next year, when Nintendo will finally release Super Mario Run on that platform. For the rest of us, here’s what you need to know to get the best out of Super Mario Run on iOS. In Super Mario Run, Mario runs from left to right automatically. Tapping the screen makes him do a small jump. Hold the screen longer, and he jumps higher. That’s all there is to it – you’ve just got to get into the flow and get the timing right. Like every classic Mario game, your objective is to make it to the flagpole at the end of the level before the timer runs out. This is how the game plays in the World Tour mode — similar to classic Mario games. Endless runners don’t have a definite end point, while Super Mario Run does, making it more of an auto runner than an endless runner. It might sound like semantics, but the difference exists and it’s an important one. Also, just because there are levels doesn’t mean there’s no replayability. If you like collecting every single coin in Mario games, you’re in for a treat. Aside from the usual gold coins, each level has three sets of special coins to collect — pink, purple, and black. Collecting one full set unlocks another version of the level, with the coins hidden in places that are more difficult to reach. Since Mario runs automatically, timing is crucial to collect them all. Otherwise you’ll have to replay the level from the very beginning. Much like New Super Mario Bros on Nintendo consoles, Super Mario Run uses bubbles. These let you rewind your progress in a level as far as you’d like, allowing you to collect a coin you missed. Keep in mind that the timer does not reset. This means that if you use too many bubbles or go back too far, you might not finish a level. As for finding these bubbles? Hit the blocks with a question mark to get these power-ups. In Super Mario Run Toad Rally, your goal is to beat your opponent — which is essentially the performance data of another player – with style. What this means is, you won’t be competing in real time but against someone’s high score that’s visually represented as a character running across the screen. This is known as asynchronous multiplayer. You won’t just be tasked with outrunning them though, there’s an audience to impress. Pull off stunts like fancy jumps and flips and toads — citizens of the Mushroom Kingdom – will join you. You can’t access this Super Mario Run mode without Rally Tickets, which can be earned by performing in-game feats such as clearing a level in World Tour mode. Remember the coins and toads we mentioned? You can use them in Super Mario Run Kingdom Builder mode. This mode lets you make your own Mushroom Kingdom. It resembles a world map in other Mario games. You’re limited in what you can buy, by the number of Toads that you’ve impressed. Hit the requisite number of Toads, and you can use your coins to buy different items. There’s little in way of gameplay, but more by way of bragging rights, with cosmetic items such as green pipes, flags, and question mark boxes among others, to decorate your kingdom with. Super Mario Run’s three modes don’t appear to be that disparate, unified by a common currency system and interlocking elements that could ensure you don’t stick to one specific mode alone. It will be interesting to see how Nintendo doles out Rally Tickets or modifies mechanics to earn more Toads in the weeks to come. 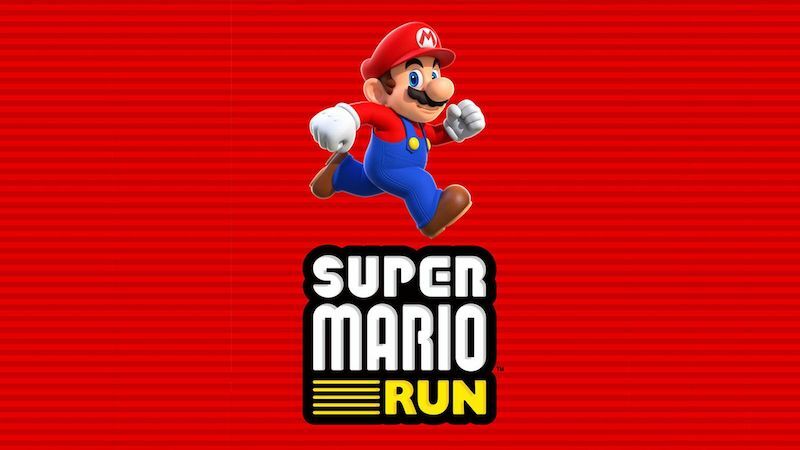 Are you playing Super Mario Run on iOS? Or are you waiting for it on Android? Let us know via the comments. Following Don Bradman Cricket 17’s early release in India, we managed to spend some time with the game. With each console generation, cricket games have been tougher to come by, which is no surprise considering the audience for them resides mainly in markets like the UK, Australia, and India. Amongst the few games that remain, the Don Bradman series is one that stands out in particular. Our initial impressions suggest a promising game on the PS4 and PS4 Pro, albeit with striking similarities to previous entries in the series. 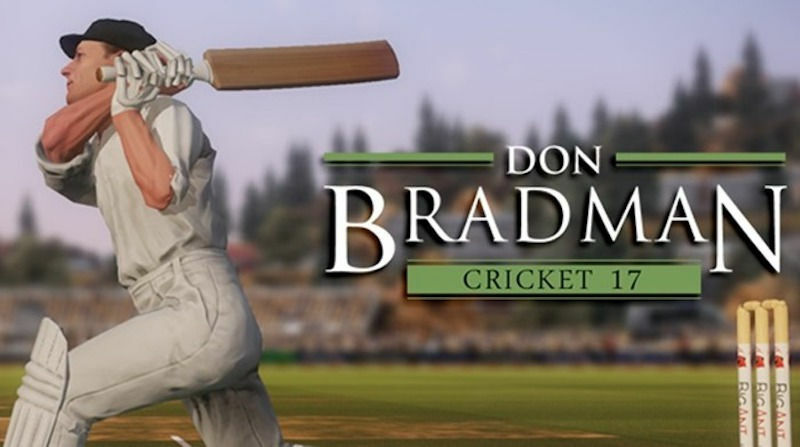 2015’s Don Bradman Cricket was a minor iteration over Don Bradman Cricket 14. Don Bradman Cricket 17 shows its next-gen chops by being a lot sharper and cleaner. Player models sport a greater degree of detail and the animations look a lot more realistic. It’s not that much of a looker compared to other new games, but there is an evident step up from its PS4 and Xbox One debut. Unlike some recent releases, it’s also a stable game. We haven’t faced a single crash during our playthrough. There doesn’t seem to be any obvious performance benefits on playing it on the PS4 Pro over the PS4 at the moment in terms of frame rate, but it does look a bit sharper and cleaner on the PS4 Pro. Though we have reached out to Big Ant Studios to ask if this could change. Much like nearly every game this year, Don Bradman Cricket 17 has a day one patch. It’s around 1.292GB and according to sparse patch notes, will bring “Stability improvements”. We played the game before and after patching and noticed very little to be different. Considering how well older Don Bradman games handled controls, we were pleasantly surprised to see that Big Ant Studios has managed to improve the game’s controls further. Bowling in particular has seen subtle yet crucial improvements. It’s easier to control flight, spin, bounce, and swing of a delivery thanks to canny use of triggers and dual analogue sticks. The sense of precision is welcome, making bowling a lot more fun than it was earlier. Batting controls make use of the dual analogue sticks — with the left stick controlling footwork while the right is for shot selection. There is a wider shot repertoire, and you have the ability to hit unconventional shots by using the triggers. Fielding is similar the last game. You’ll run towards the ball with the tap of a button and on getting to it, decide where to throw it. Catching works by moving the right analogue stick to the desired location on-screen. In-game difficulty operates on several levels. Changing the battling and bowling difficulty will not impact the game’s AI. Instead it will allow you more or less of a window to time your shots or deliveries. If it’s increasing or reducing the difficulty of your AI-controller opposition, you’ll need to look tweaking match difficulty to suit your needs. While the gameplay of Don Bradman Cricket 17 is well implemented, we wish we could say the same for its production values. Stadiums feel sparsely filled, and commentators — while accurate for most part – lapse into oddities such as remarking on the fall of the first wicket of the match when in actuality it is the eighth or ninth dismissal. Old-timers will note the familiarity of its menu music too. Also, wicket keeper tends to be a ghosty apparition, being only faintly visible in more than a few scenarios even with choosing a camera angle for batting in front of the wickets. These moments take away from what should be a resounding improvement over its predecessor. As per our initial impressions, Don Bradman Cricket 17 appears to make subtle yet crucial changes to a formula that’s served it well for the last two games. Whether this holds true with extended sessions remains to be seen, as does online play or new modes such as Match Designer. Stay tuned for our full review soon. The European Union will in September propose subjecting internet services like WhatsApp and Skype to similar rules as traditional telecommunications companies, a spokesman said Wednesday. The European Commission, the executive arm of the 28-nation bloc, is set to recommend tighter privacy and security for services like Facebook-owned message service WhatsApp and Microsoft’s video phone portal Skype. Spokesman Christian Wigand said that “we can confirm that the commission is working on an update of EU telecoms rules” next month to “ensure a high level of protection for people and a level playing field for all market players”. 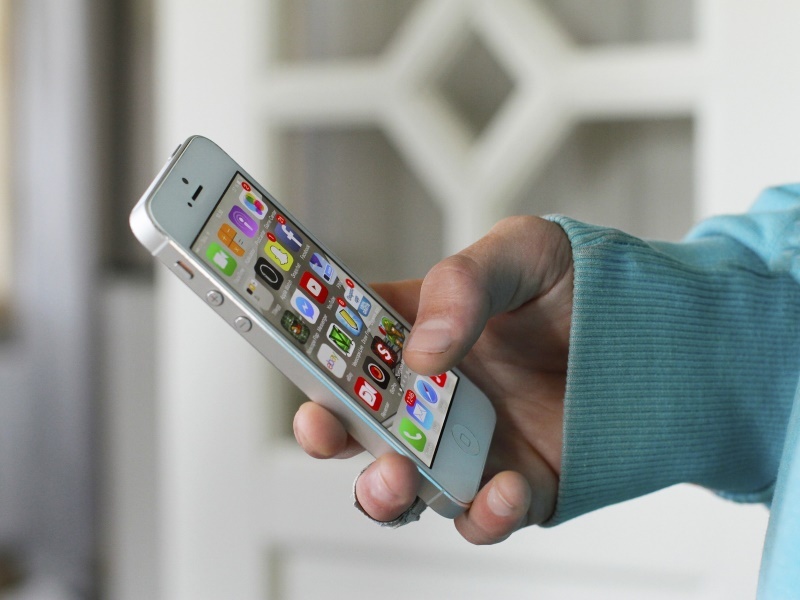 “The commission is analysing to what extent so-called over-the-top service providers (OTT) like WhatsApp and Skype are providing services that are equivalent to those provided by traditional telecoms operators,” Wigand said. A Commission source told AFP that while it was necessary to “stimulate innovation by new players” they had to “make sure there were fair rules for everyone”. I know we’re purported to be all performed talking approximately Flappy fowl, but I think it’s justified tocarry it up whilst it seems in a research paper approximately why video games like Flappy hen are sotough — and so irritating. seems the controls are fundamentally horrific. That won’t come as a surprise to — well, all and sundry. irritated Birds and Neko Atsume worksatisfactory, however action games on cell have a tendency to suffer from unresponsive controls. And itturns out you can best blame the developer so much. Researchers at Aalto college in Finland, probably after demise for the ten millionth time in Flappy chookand pledging to find a manner to justify their failure scientifically, show in a brand new paper that more than a few of things integrate to make controls unreliable. “we are able to ultimately provide an explanation for why games that require correct timing are annoyingly difficult on touchscreens,” stated co-author Antti Oulasvirta in a news launch accompanying the paper. First: “customers can not precisely manipulate how excessive they maintain their finger,” which isn’t the case with a bodily button, some thing you maintain physical contact with. This introduces variability in timing. second: “the timing of the sensor event is uncertain.” A participant can’t reliably inform whilst the touchscreen will truly sign up a hint. Is it whilst the finger makes the slightest contact? Is it whilst it passesa few different threshold? further variability is delivered. 1/3: latency is unpredictable within video games and apps. every now and then a registered contact will take impact quickly, every so often now not — depending on a number of things, only a few of which can be underneath the manipulate of the game dressmaker. more variability! There are a few solutions: minimizing and regularizing latency, for one component, is always an awesomepractice. And through making touch occasions simplest take location at a sure “touch–maximum” threshold, reliability and accuracy have been improved and mistakes charges dropped by means of ninepercentage. As for finger height — regrettably, there doesn’t seem like an answer for that. as a minimum we’ve got a higher deal with on the problem. For now, keep on with real buttons whileyou can. The paper, by means of Oulasvirta and Byungjoo Lee, can be presented at the affiliation for Computingequipment’s pc-Human interplay conference subsequent month.